Thanks Nature Café or much better known as the sheep café was at the top of my go-to list, simply due to my adoration for sheep! 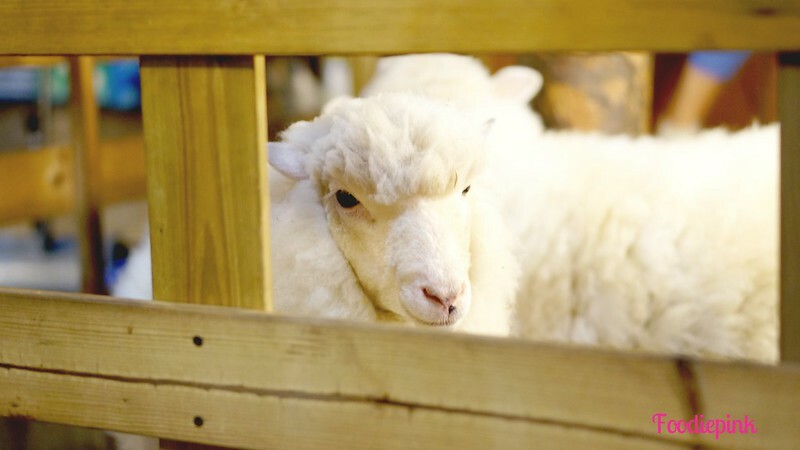 Furthermore, where else could you get a cuppa with 2 fluffy white sheep frolicking beside you? The café is located at the basement of a building, so if you’re not alert, you may miss the staircase. The café has an earthy theme, utilising light-coloured timber and neutral colour palettes. You can choose to sit inside the café or outside with the sheep. 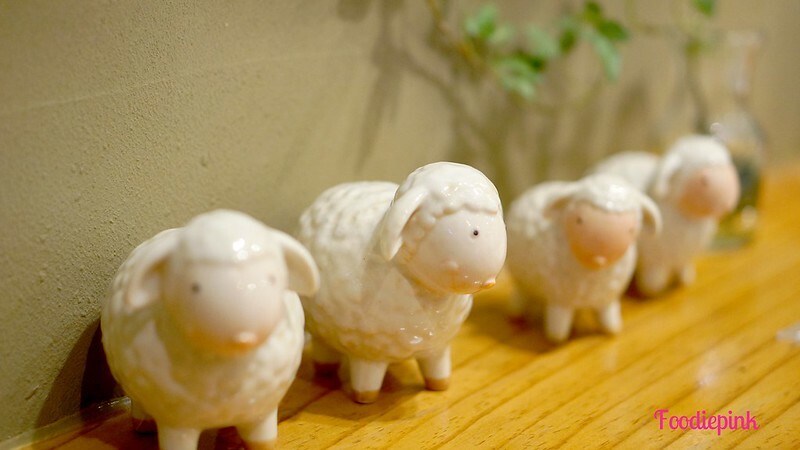 Cute sheep figurines found everywhere in the café! Extremely well-groomed sheep in their clean wooden pens! Say hi! 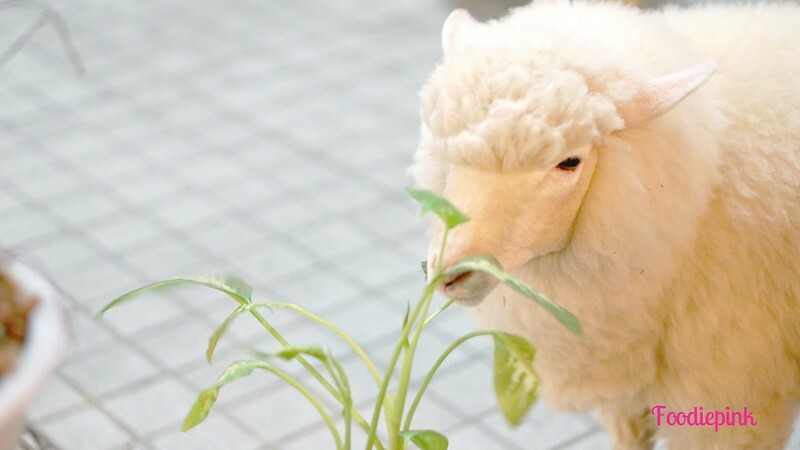 Look how fluffy the sheep is!! 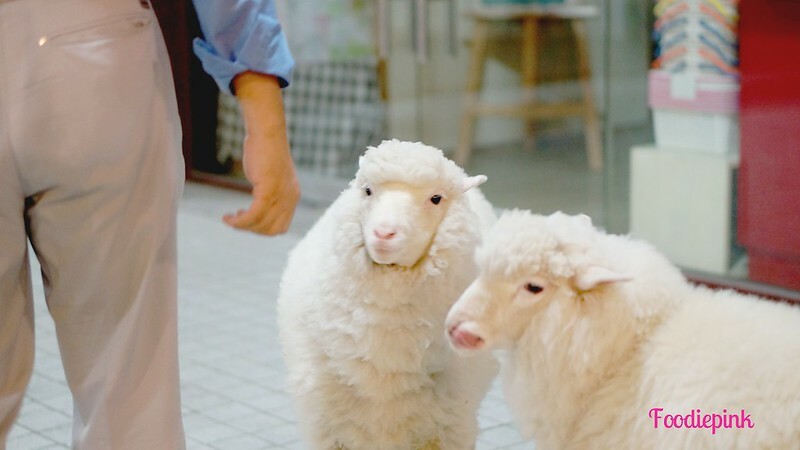 The boss of the café and the sheep’s owner is a middle-aged Korean man who is very polished himself too. I really admire the love he has for his 2 pet-sheep. The way he treated them with care and patience – just like his own children – filled me with deep respect for him. The sheep were let out to play near closing time and they were so tamed and well-trained! I was literally fan-girling over them! They were led to the carpark behind where they had some fun playing catching with their owner. It was hilarious looking at how the sheep skipped happily in circles and one of them even tripped and fell to its side! Oops, I better stop before I sound like a sheep fanatic! On to the food! 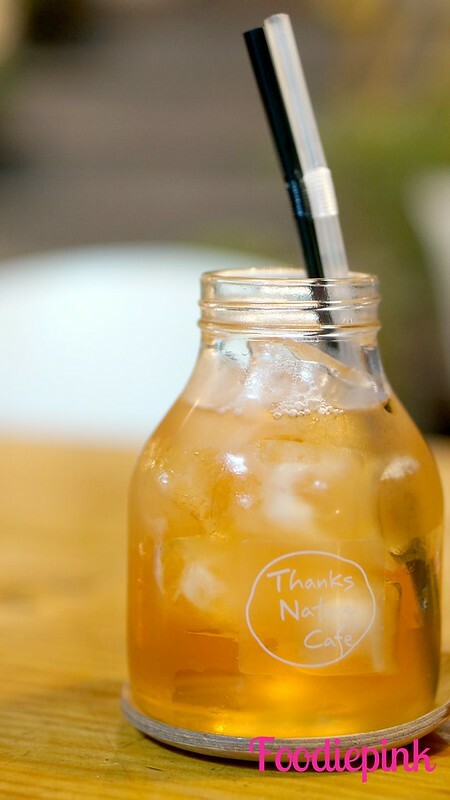 We had some Iced Lemon Tea which was pretty decent. Good to share between 2 people. 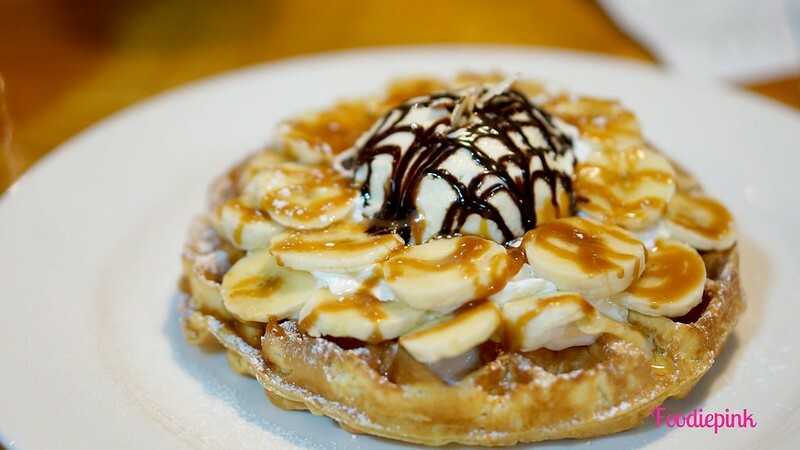 Thanks Nature Café serves a myriad of waffles and honestly, their Banana Waffle with Ice Cream (9,000won/$11) did not impress me. 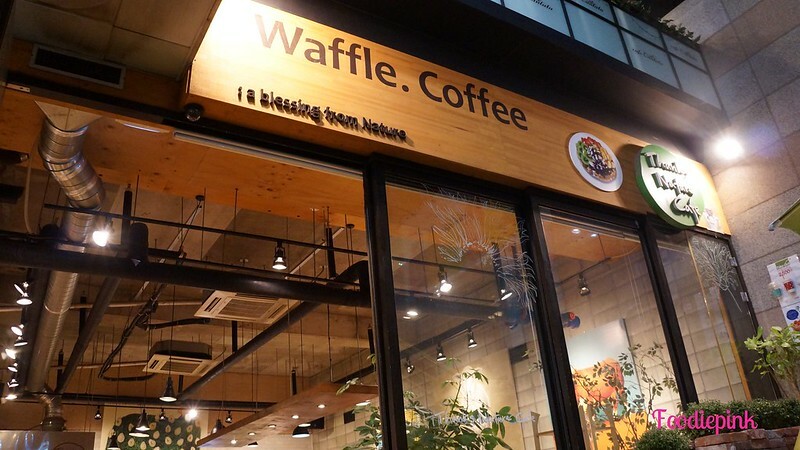 Of course, that is probably due to the fact that I’ve had some really good ones previously (like Waffle It Up & Coffee-Drinking Cat Café) and in all honesty, it was very decent. I suppose the main star attraction here will always be the sheep! 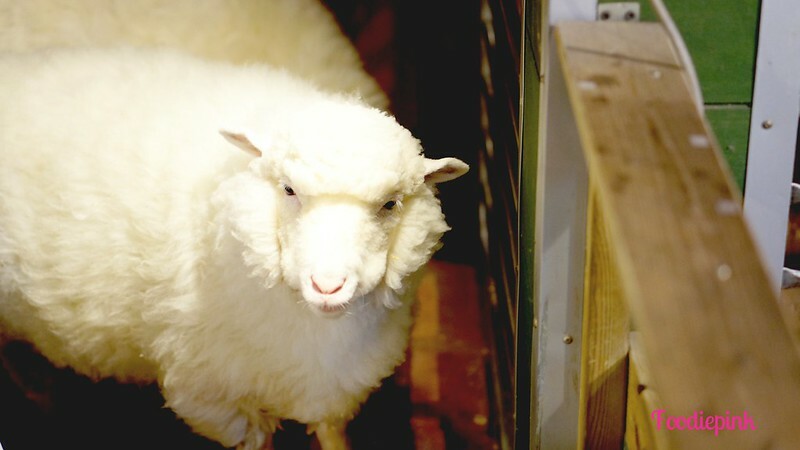 For sheep-lovers like myself, you’ll be mesmerized. Not by the food, but by the gentle fluffy white animals. If you’re concerned of any smell, I can assure you that it’s minimal as the owner cleans the pen every day. Directions: Hongik University Station (Line 2), Exit 9. Turn left to go up hill at the first intersection. Walk towards Hongik University’s Main Gate. 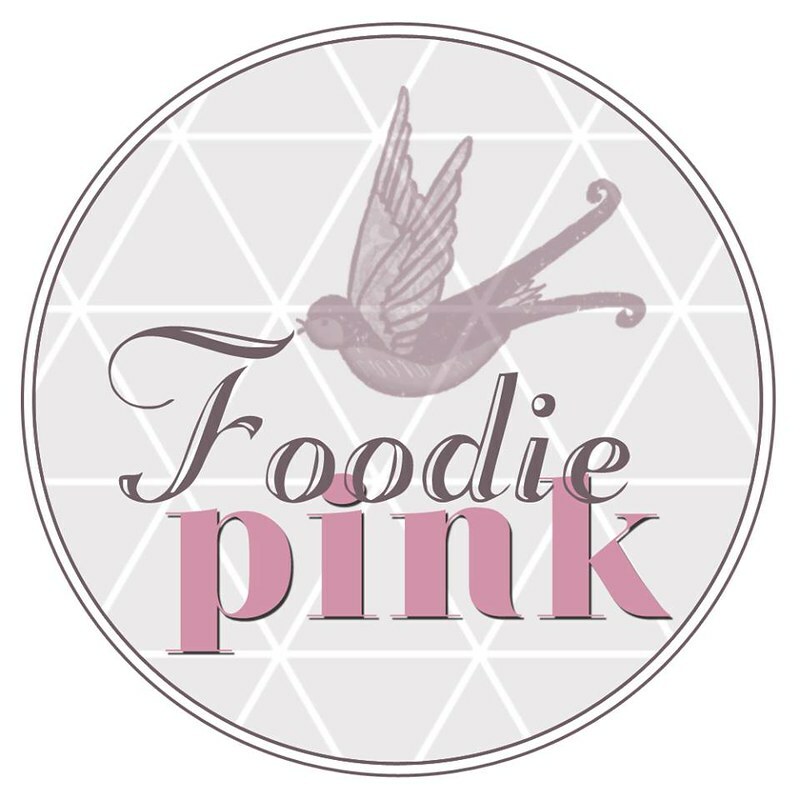 Look out for a neon sign that reads the café name and photos of sheep attached. I just included this on my list of things to do in Seoul! Do you have any other recommendations? I cannot wait to visit! Hello! Do we have to make reservations to go to Thanks Nature?